Thank you to all of the amazing community and professional partners that made the 2018 Green Streets such a success! Barrie’s Garden Centre, Brayford Sod, City of Barrie, Downtown Barrie. Inglewood Sunfest, Manderley Sod Farms, Spring Free, Court Yard Landscape. Livewell Property Managment, Springfree, The Right Choice Lawn Care (Verdant Landscapes), Martek supply, Adele Pierre Landscape Design, Stinson Properties, Cedar Springs Landscape Group. Downtown Huntsville BIA, Rugged Earth Landscape and Property Maintenance, Beverly Turf Farms, Morton Muskoka Chairs, Due North Enterprises. Wentworth Landscapes, Picton Home Hardware, E.S. Hubbell Highway and Drainage Products, Picton Business Improvement Association, Willowlee Sod Farms Limited, Prince Edward County Fire Rescue. 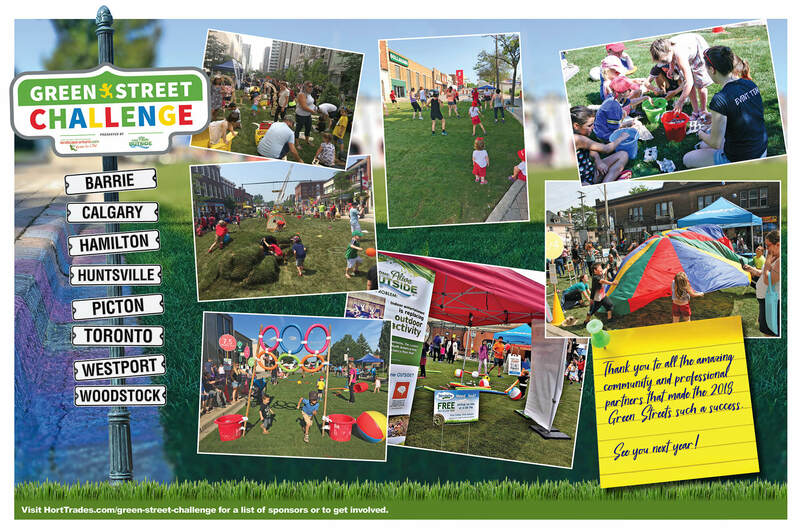 City of Toronto Parks Forestry and Recreation, Fairgreen Sod Farms, Urban Garden, Sheridan Nurseries, Martek Supply, Elite Concrete, Terraform, Open Streets Toronto, Landscape Ontario. The Coroporation of the Village of Westport, Westport Firefighters Association, Kudrinko’s, Manderly, Maven Marketing and Communications, Lake 88.1. Mount View Landscaping, Oxford Community Child Care, City of Woodstock, Downtown Woodstock BIA, Green Horizons. Get your company or community involved!